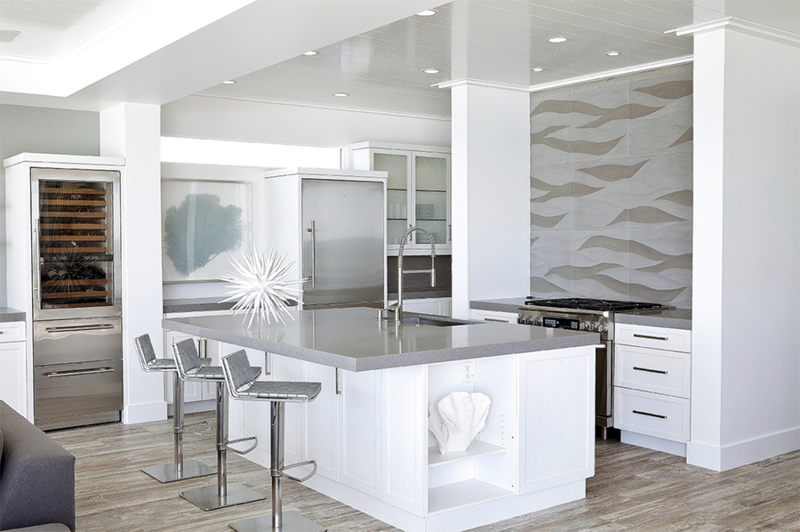 Melissa Morgan Design is excited to be featured in Caesarstone’s Interior Collective, showcasing our beautiful beach home in San Clemente. 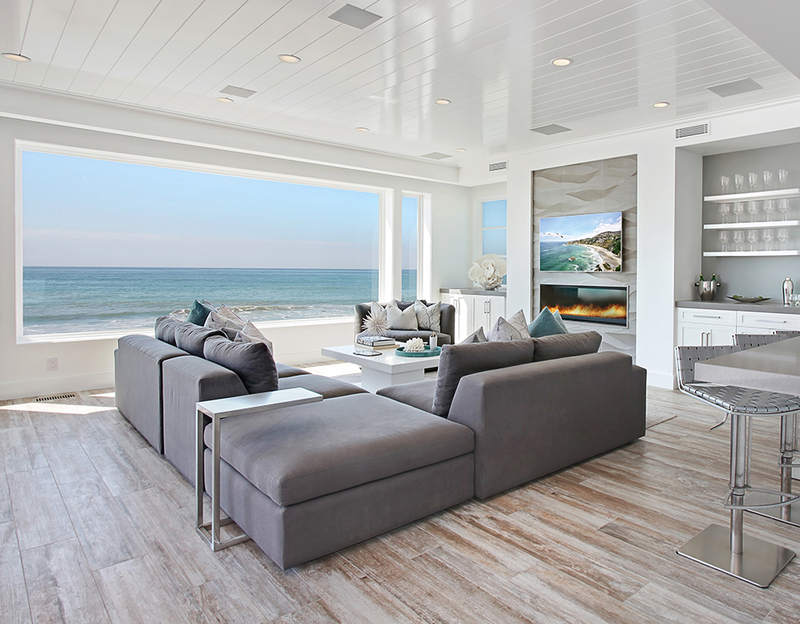 The coastal property features 180-degree views of Capistrano Beach, which we used as a focal point in our design. The durable hard finishes, architectural details, and natural light all work together to create a welcoming ambiance, fit for any occasion. 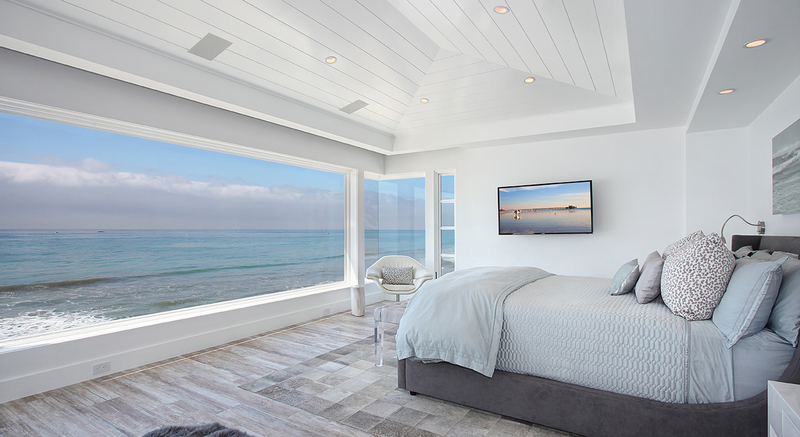 Enjoy panoramic views of the Pacific Ocean from the comfort of your king size bed. And don’t worry about moving a muscle – a hidden roller shade behind the soffit automatically adjusts as the sun sets. And don’t forget the outdoor area. 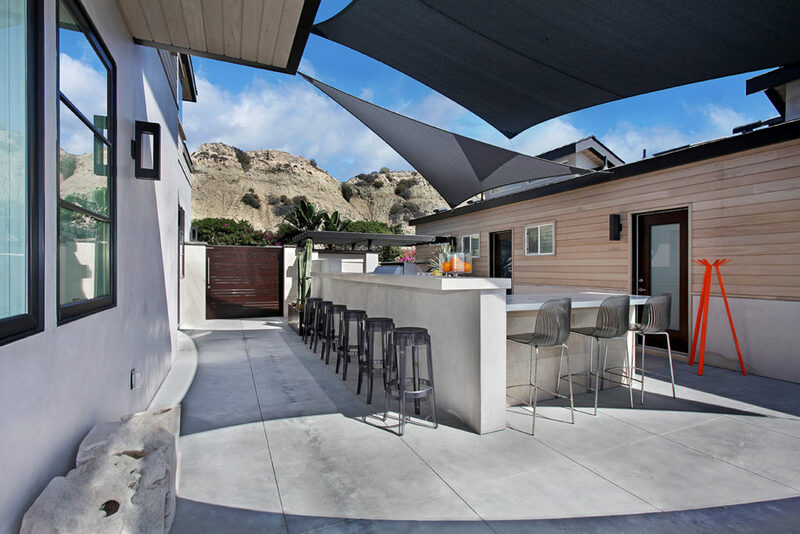 The stainless steel appliances and Pure White countertops lend to the modern look of this sleek barbecue and bar backyard. Party this weekend, anyone? Craving more from this home? Take a full tour here.